The Georges Fire has grown to an estimated 2,500 acres and is 10% contained. 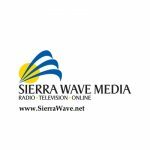 The Inyo National Forest, CALFIRE (who also manages fire response for Bishop BLM Field Office lands as well as private lands), and Inyo County Sheriff are in Unified Command. Today, erratic winds challenged the initial fireline fire crews had put in yesterday night. The fire showed growth on the south and west. Fire crews focused their suppression efforts on the southern flank of the fire because of concerns for the Whitney Portal area. They are also working to contain the eastern flank and work north towards the head of the fire. The western flank is burning into steep, inaccessible terrain. In this area, the fire will eventually “rock out” as the fire reaches the granite cliffs and the absence of fuel. The fire is burning in sage brush and transitioning to a pinyon-juniper forest at higher elevation. SoCal Team 3 was briefed this evening and assumes command of the fire tomorrow at 6:00 am. The Whitney Portal area has been evacuated. 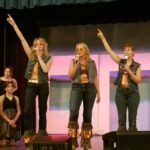 This includes campgrounds, residents, and the Whitney Portal Store. The Hogback and Whitney Portal Roads are closed. Hikers who exit at Whitney Portal that do not have a vehicle may call a shuttle service (see attached) or arrange to be picked up. Shuttle services will only be assisting exiting hikers at this time as conditions permit. Additional road closures include the Foothill Road and Moffat Ranch Road as well as any other roads that enter the fire area. Please avoid the fire area for your safety and for our firefighters’ safety. The Inyo National Forest is contacting permit holders for the Whitney Portal Trailhead and the Shepherd Pass Trailhead to notify them that they cannot begin their hikes tomorrow from these trailheads. Hikers who picked up their permit to hike Mt. Whitney in advance may not hike the trail. The National Recreation Trail (from Lone Pine Campground) is also closed and may not be used as an alternative to get to Whitney Portal. The Inyo National Forest is also working with campers who hold reservations at Whitney Portal. The forest will re-evaluate access to these areas on daily basis upon fire behavior and fire containment. There are nine crews, 20 engines, three dozers, six helicopters, three air tankers and a very large air tanker (VLAT) assigned to the incident and additional resources are ordered. This is a lightning-caused fire. Due to increased activity on the southern flank of the fire, the Whitney Portal area has been evacuated. This evacuation was done in coordination with the Inyo County Sheriff’s Office. This includes campgrounds, residents, and the Whitney Portal Store. The Hogback and Whitney Portal Roads are closed. Hikers who exit at Whitney Portal that do not have a vehicle may call a shuttle service (see attached) to arrange to be picked up. Shuttle services will only be assisting exiting hikers as conditions permit. Additional road closures include the Foothill Road and Moffat Ranch Road as well as any other roads that enter the fire area. Please avoid the fire area for your safety and for our firefighters’ safety. The Georges Fire has grown to 2,000 acres and is 0% contained. The Inyo National Forest, CALFIRE, and Inyo County Sheriff are in Unified Command for this fire. Fire growth yesterday was to the north and west, driven by winds. 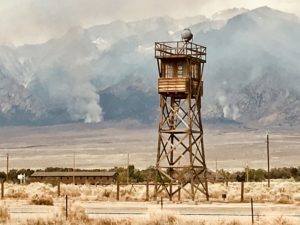 The fire is north of Lone Pine, west of Manzanar National Historic Site, and south of Bairs Creek. Last night, the winds died down, and crews were able to begin initial line construction for the fire. The forecast today calls for additional lightning activity as well as continued erratic winds and dry conditions. A Type II Team has been ordered and arrives this evening for a briefing. Numerous crews from the Inyo National Forest, BLM, CALFIRE, and local fire departments are responding. There are nine crews, 20 engines, three dozers, six helicopters, three air tankers and a very large air tanker (VLAT) assigned to the incident and additional resources are ordered and en route. The Hogback and Whitney Portal Roads are closed to uphill traffic at this time. Additional road closures include the Foothill Road and Moffat Ranch Road as well as any other roads that enter the fire area. There are no evacuations in place at this time. However, campers and residents in the Whitney Portal area have been advised to be prepared for an evacuation. Please avoid the fire area for your safety and for our firefighters’ safety. Today, the Inyo National Forest is contacting permit holders for the Whitney Portal Trailhead and the Shepherd Pass Trailhead to notify them that they cannot begin their hikes today from these trailheads. 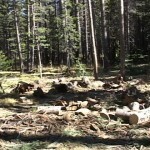 The Inyo National Forest is also working with campers who hold reservations at Whitney Portal. The forest will re-evaluate access to these areas on daily basis upon fire behavior. It has been determined that this is a lightning-caused fire. The Georges Fire has grown to 750 acres and is 0% contained. The Inyo National Forest, CALFIRE, and Inyo County Sherriff are in Unified Command for this fire. Fire growth is to the north and west, driven by winds. 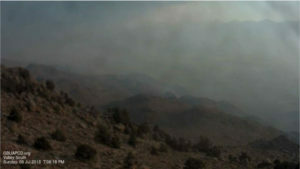 The fire is north of Lone Pine, west of Manzanar National Historic Site, and south of Bairs Creek. Erratic and gusty winds continue to hamper fire suppression efforts. Numerous crews from the Inyo National Forest, BLM, CALFIRE, and local fire departments are responding. Aircraft is assisting as conditions allow. There are nine crews, 14 engines, two dozers, four air tankers and a very large air tanker (VLAT) assigned to the incident and additional resources are ordered and en route. The Hogback and Whitney Portal Roads are closed to uphill traffic at this time. There are no evacuations in place at this time. Please avoid the fire response area. The cause of the fire is under investigation; although substantial lightning activity has been observed in the area. Based on air pollution levels at the Fort Independence Tribal PM10 monitor from 4:00 pm to 5:00 pm PDT on July 8, 2018 a Stage 1 Air Pollution Health Advisory has been issued for Southern Inyo County. Smoke conditions may change quickly. If you have any questions please visithttp://www.gbuapcd.org/ or call the Great Basin Air Pollution Control District office in Bishop at 760-872-8211 during regular business hours. Great .. Another Fire to shut everything down for a month. Thanks for the video Russ. It should be out in a few days. Not to worry USFS is on it..